Although I love the look of my Jet Black iPhone 7, I can be a bit clumsy at times, so I’ll always protect it with a case. There are plenty of phone case choices out there, but my new favorites -- by some margin -- are those from the RÖK collection. 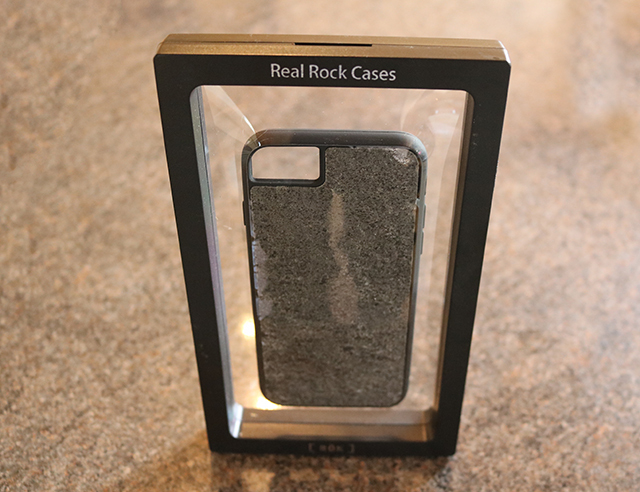 The latest cases from WÜD are made with real stone harvested from a slate quarry. The pieces are sliced thinly, so they don’t add a lot of weight to your device (around 1.2oz/34 grams), and each one is handcrafted and unique. 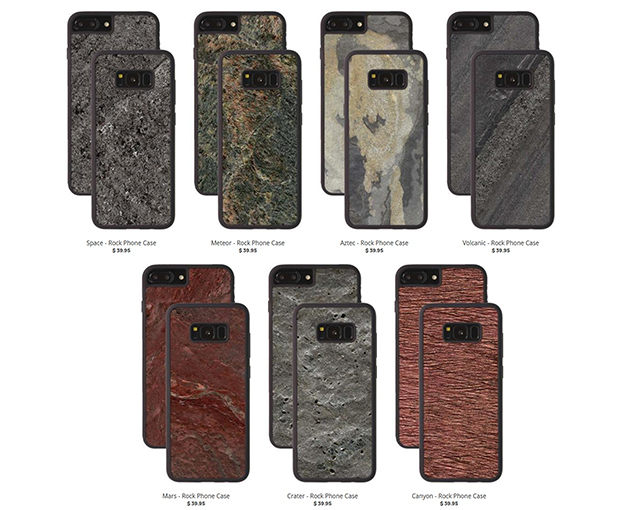 The cases aren’t exclusive to the iPhone either -- you can buy them for numerous Samsung models, Google Pixel phones, and the LG V20. WÜD offers a selection of styles -- Space, Meteor, Aztec, Mars, Crater, Canyon, and Volcanic. The names reflect the look of the stone, not the origin, and if you find one you like, you can view three variations to get an idea of roughly what your case will look like. 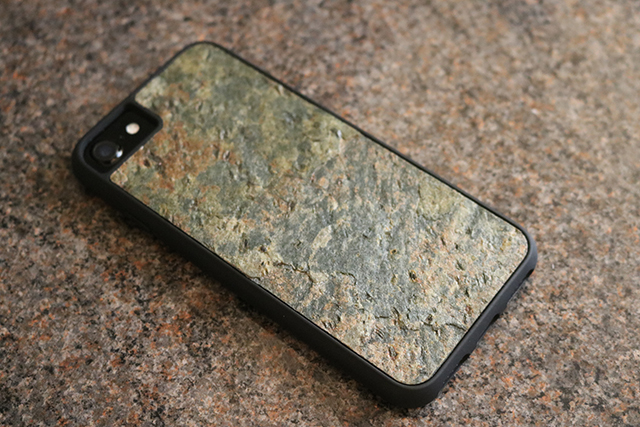 A phone case made from stone probably doesn’t sound like the smartest of moves, but actually the case itself is made from a rubberized shock-absorbing material. The slice of slate is just on the back. Getting your phone into the case is easier than most, as the rubberized material is stretchy, and there’s a raised lip to protect the screen. I received three sample cases -- two for the iPhone 7 (Meteor and Space) and one for the iPhone 7 Plus (Volcanic) -- and I like them all. Meteor has spent the most time on my phone though, and also resulted in the most (positive) comments from people. There’s definitely a feeling of quality about the RÖK collection, including in the packaging which has the look of a display case. WÜD describes its collection as durable art pieces, and I’d agree with that. The RÖK cases not only look good, they have the benefit of being anti-slip. I will be honest and admit the rough texture does take some getting used to. Initially it felt a bit like I’d glued some sandpaper to the back of my phone and I was worried about scratching a surface when I laid it down on a table, or of bits of rock flaking of, but actually the slate is treated with a protectant so that’s never going to be an issue. Now when I switch back, briefly, to a different case, that feels odd to me. It’s amusing how quickly we adapt to change. The cases are priced at a reasonable $39.95 with free worldwide shipping (WÜD also makes wood cases priced from $29.95). You can browse the full collection and buy them from here. If you have a favorite, let me know which in the comments below.